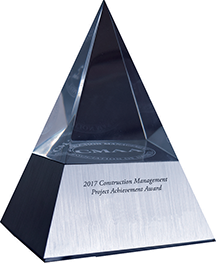 America's leading professional construction and program managers deliver creative and innovative projects around the world. Many of these projects have a great story to tell, regardless of size or complexity. Whether a small elementary school renovation, a large federal installation, or a dam, successful projects represent lessons learned in our industry. CMAA's Industry Honors Individual Recognition Awards program recognizes and commends the contributions of CM professionals and those who have made significant contributions on behalf of the industry - truly the industry's best. All submissions are due by May 15, 2019 at which point no further nominations will be accepted. All items received by the deadline will be reviewed by our Awards Selection Committee. If selected, presentation of the award will take place during the CMAA National Conference & Trade Show September 22-24, 2019 in Orlando, Florida.